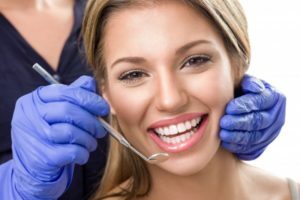 4 Reasons to Visit an Emergency Dentist in Orange Park Now! Have you ever been faced with a dental accident and didn’t know what to do? There’s a certain sense of fear and uncertainty when it comes to dental emergencies. For future reference, your emergency dentist in Orange Park has put together a quick guide to help you recognize when you need to visit the dentist right away. A dental emergency is a dental accident or oral health problem that causes pain, swelling, bleeding or an obvious problem with your smile’s appearance. There are certain accidents that happen that will need to be addressed right away. These are known as urgent dental emergencies. A sudden hard blow to your mouth can accidently knock out your tooth. The chance of your saving it increases if you can visit your dentist within one hour of the accident. In the meantime, rinse the tooth in warm water, leaving all the soft tissues attached to the tooth. Place the tooth back in the socket if you can. Hold it there while quickly getting to our office. If the tooth will not fit in the socket, put it between your cheek and gum or in a sealed container with milk to keep the tooth moist. Teeth are made to last, but there are times when wear and tear can get the best of them. Don’t panic if your tooth or a dental restoration becomes damaged. Simply visit your dentist for help repairing your dental problem. Be sure to bring any and all pieces with you to the practice. An abscess is a hole in your tooth that was formed by tooth decay. You may experience symptoms like an excruciating toothache, puss draining, a fever, or swelling of the jaw and gums. Abscessed teeth are a threat to the whole body, so get to your dentist in Orange Park right away! While you’re traveling, apply a cold compress (20 minutes on and 20 minutes off) to reduce swelling. Take ibuprofen or acetaminophen for pain and to help reduce swelling. If something is stuck in your teeth, attempt to remove the object by gently flossing. If you cannot dislodge it, call your emergency dentist for advice. Whatever you do…DO NOT use a sharp object to try to move it. There are many cases where dental emergencies just aren’t avoidable. Accidents happen! But with the proper preventive care, your smile could stand a chance against minor dental accidents. Getting six-month professional cleanings and exams with your local dentist. Eating a balanced, nutritious diet (limiting sugars and carbohydrates). Wearing a custom mouthguard from your dentist to protect against sports injuries and teeth grinding (bruxism). When was your last dental visit? If it’s been longer than 6 months, you need to schedule an appointment today! Here at the dental office of Matthew Nawrocki, we want our patients to stay safe and healthy. That’s why we offer emergency dentistry when you need it and comprehensive services in the meantime. If you ever need special attention to your teeth or gums, feel free to call us! Comments Off on 4 Reasons to Visit an Emergency Dentist in Orange Park Now!